Spirals & Spatulas: Happy Birthday Spirals & Spatulas!! Happy Birthday Spirals & Spatulas!! So it's a Monday. Sigh. 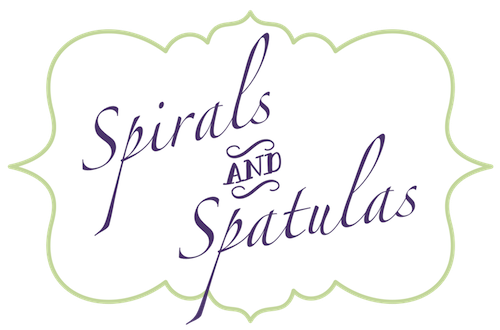 BUT... it's kind of an exciting Monday because it's the first birthday of Spirals & Spatulas! 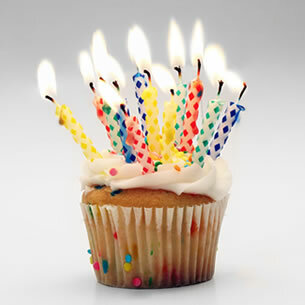 Happy Birthday little blog. Thanks for aiding me in countless procrastination endeavors, providing a neat little space for wedding inspiration, introducing me to new friends, and teaching this English major a thing or two about writing. You're the best. Here you go, Spirals & Spatulas! Have a birthday cupcake! I thought it would be appropriate on my very first blogging anniversary (blogiversary?) to look back on a few of my favorite posts. Many of my readers weren't around when it all started, so these will be brand new to some of you! I Saw Pac Man Today!!! - One of the million thousand reasons I love Texas A&M University. There Was a Question, and He Popped It!! - In which I take the LSAT and get engaged all on the same day! How Bacterial Sinus Infections Remind You What Love Is - Me at my worst. And Jeff at his best. Here's to Weddings That Aren't "Cool" - One of my favorite wedding planning posts. My Newest Wedding Vendor - The Dermatologist! - Don't read this if you get queasy easily. "Look What I Made!" - Place Card Display - My favorite wedding DIY project! ~ Join me as I chronicle my attempts at making homemade bread for the very first time. With yeast and everything! ~ After some strategic placement of orange candles, a shameless acceptance of the fall decorations my mom was going to throw out, and a shopping spree at Marshalls Home Goods, the apartment is decorated for fall! Pictures to come! ~ Still waiting on my DVD of pro pics from the wedding, but I've seen a lot of the photos, and eeee! The Wedding Week Recaps are coming! PS - Want some new readers for your blog? Head on over to Mingle Monday! Happy B-Day to your blog!! Hi, visiting from Mingle Monday! I'm following, can't wait to see more, esp the pictures of your apt with all the fall-ness. Just stopping by to say thanks for mingling! Hope it brings you lots of fabulous new followers! PS- Happy Bloggiversary! Looking forward to your fall decor post - I need help!! Happy blogiversary! Stopping by from Mingle Monday. Happy Blogiversary! Can't wait to see your fall decorating. I want to Halloween/fall decorate, but I haven't gotten that far yet... Hopefully you will inspire me to get moving! I love your blog - and the name of it is so cute! I absolutely LOVE the Marshall's home-goods store - I can;t wait o decorate for fall. I have a cupcake blog with lots of great recipes, feel free to stop on by and check it out. Have a great week! Happy Blogiversary! Super cute blog found you from Life of Meg!! I love decorating for fall and one of the things I miss about living in FL - I just can't decorate with fall things because it never feels like the fall I'm used to from up north! I'm off to check out your favorite posts! Happy birthday to your fab blog! I am visiting from Mingle Mondays! Can't wait to read more! YAY Happy Bday to your blog! I'm really excited to be following along from now on! oh yeah, I'm stopping by from Mingle Monday! Happy blogiversary!!! 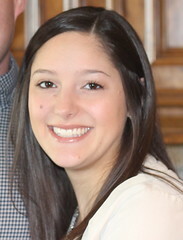 Stopping by from mingle monday to say hello :) Love the blog already, can't wait to see what's up next!